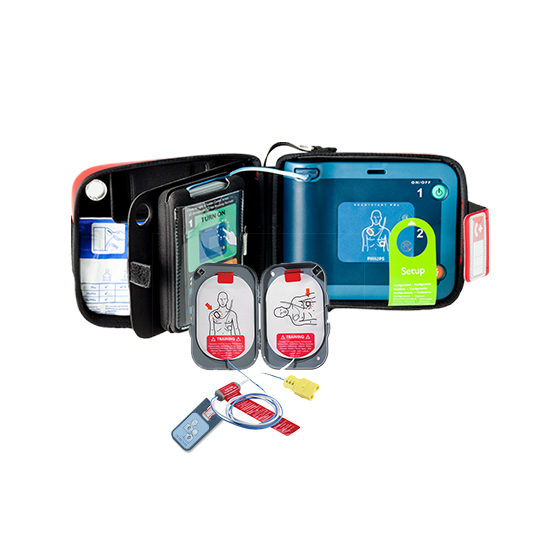 HeartStart FRX AED PACKAGE - First Edition First Aid Training Inc.
HeartStart FRX Defibrillator, includes, 1 pre-installed battery, 1 pre-installed SMART Pads II cartridge and a standard carrying case. Includes free: Quick set up guide, maintenance booklet, quick reference guide, includes a 8 year manufacturer’s warranty. Battery includes a 4 year warranty. 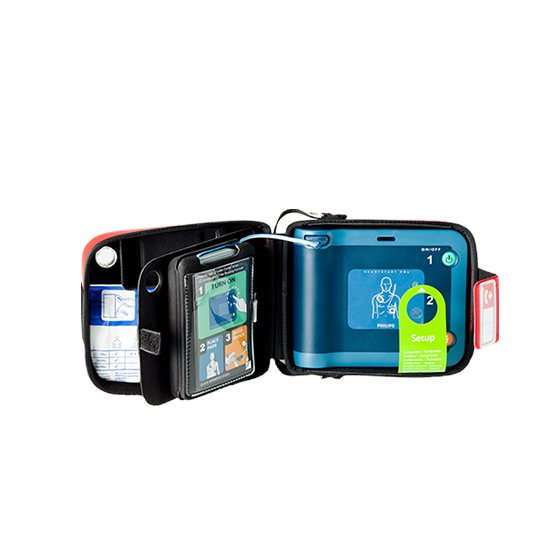 Pads 2 year warranty (unused). 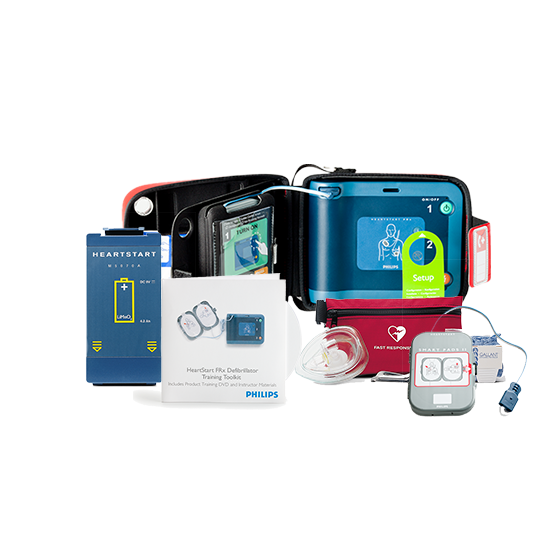 Philips, the leader and innovator in portable AED technology designed the HeartStart FRx Defibrillator to be the most user friendly and reliable AED on the market. 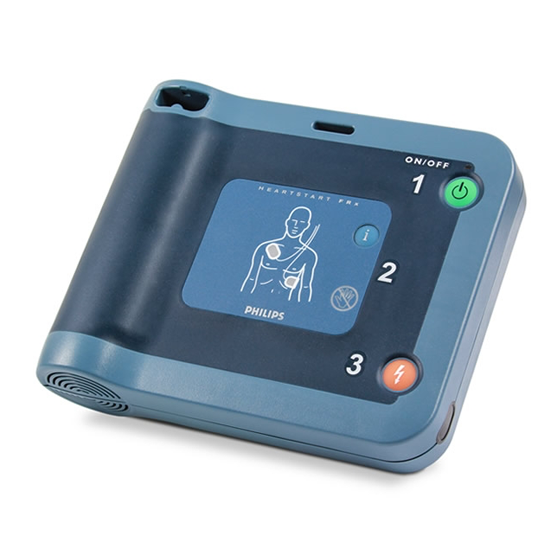 Since the FRx is the most durable AED on the market, your worksite will get the added safety it needs. Crafted for the ordinary responder coming to the rescue in the extraordinary moment. The HeartStart FRx Defibrillator guides you through each step of defibrillation, including CPR coaching and adapts to your actions to give cardiac arrest victims their best possible chance. 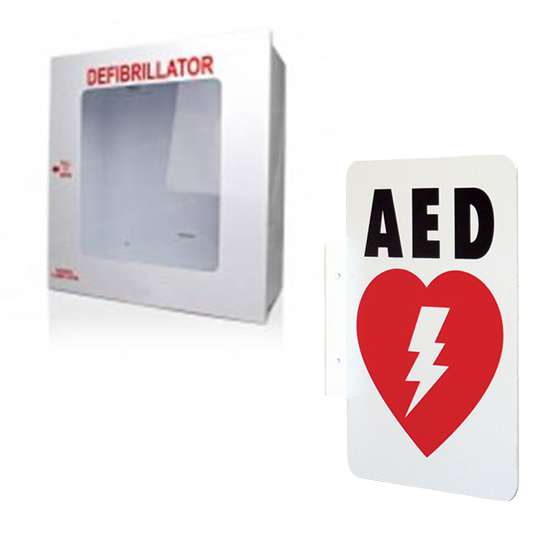 AED’s are used on victims that have collapsed from a cardiac arrest. For the best chance of survival, they should be administered within 5 minutes of collapse. 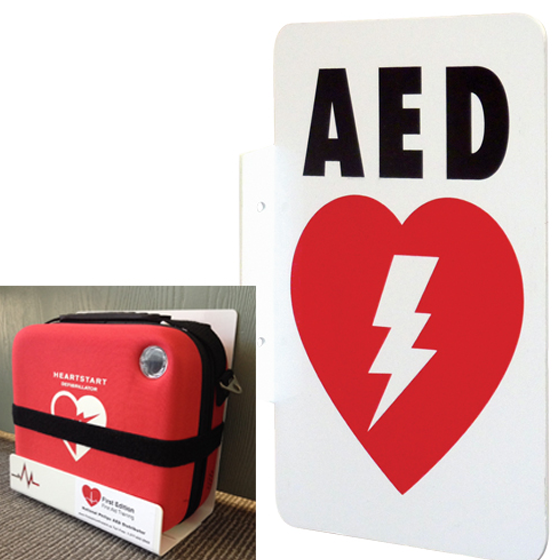 Simply activate the AED and follow the easy to use instructions. 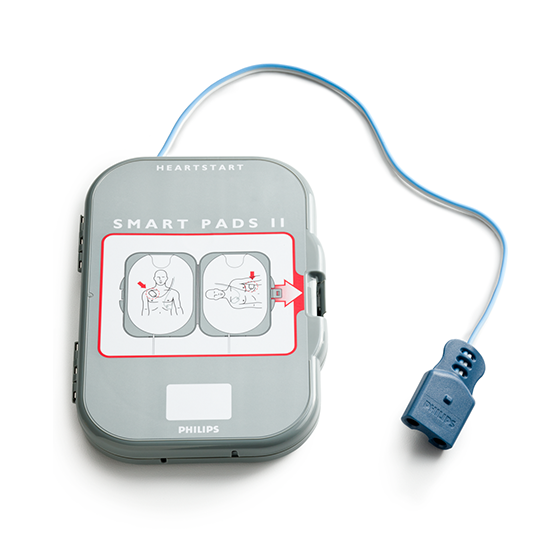 The HeartStart FRx features CPR coaching and an easy to understand icon-driven interface. Calm and clear voice instructions guide you through the entire process, tailored to the responder’s actions. 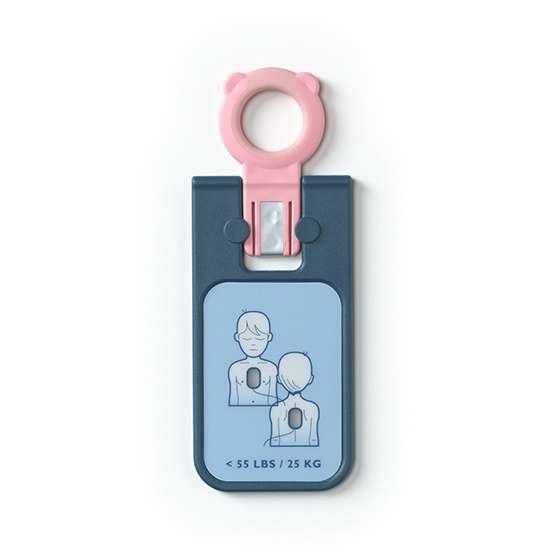 The CPR coaching feature reminds the responder about CPR basics, from placing the pads, to delivering a shock, to performing CPR. It even reminds you to call emergency medical services. Designed for real world use, the rugged FRx AED is built to surpass rigorous testing requirements, withstanding jetting water, crush loads up to 500 lbs., and a one-meter drop onto concrete. Setting up the HeartStart FRx is easy and quick. Just press the green button to activate the device and start receiving detailed voice instructions. The HeartStart FRx performs 85 daily, weekly and monthly self-tests so you can trust that it is ready-to-go when needed. Since minimizing the time to shock after the last CPR compression may improve survival, shock delivery time is critical. The HeartStart FRx’s Quick Shock feature reduces the time between hands-off and shock delivery. Philips SMART Biphasic therapy uses a unique combination of high current – to increase effectiveness, and a lower energy dose – to decrease side effects that are harmful to a fragile heart. If you insert the infant/child key into the FRx, it automatically adjusts to a lower energy level and modifies the coaching instructions to an appropriate level for an infant or child (key sold separately).